Praktiske treningshansker fra Better Bodies! 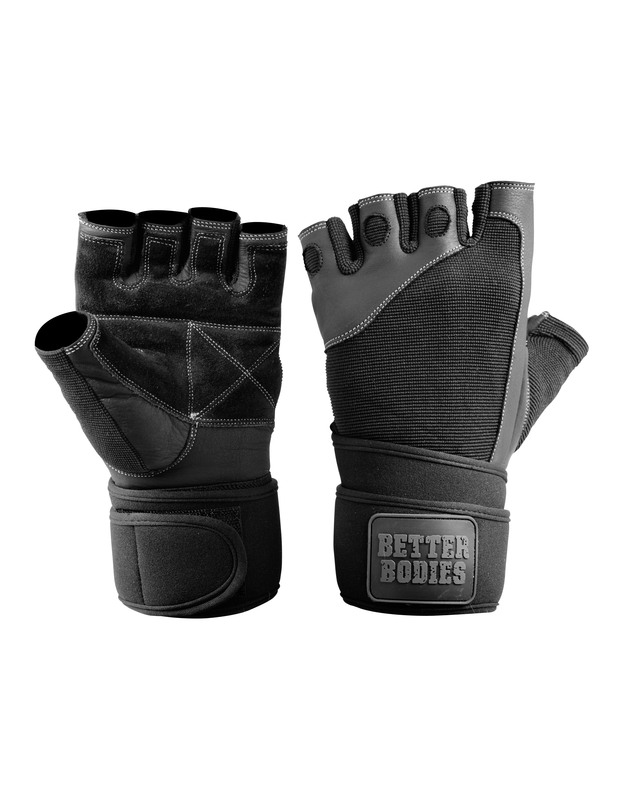 Ergonomic developed gloves weightlifting gloves with strong wrist wrap, – when only the best is good enough! * Reinforced double Leather constructed palm with foam padding for professional grip and superior durability. * «Multi flex» elastic mesh on back of hand, between fingers and on thumb for best fit and breathability during heavy workouts! * Neoprene wrist wrap with extremely good support! * Adjustable Velcro closing for really good fit! * Exceptional contact and support with any gym equipment due to 1/2 finger design and wrist wrap! Made of the highest quality alanin cowhide leather, lined with polyester! Quality:70% alanin cowhide leather, 30% multi mesh polyester. Lining in 100% polyester.